All children should have their eyes tested before they start school to detect and address eye health or vision problems. Early detection is important for children’s eye health and vision, particularly during the first 6-8 years of development. As children get older, any undetected eye health issues are harder to treat and can impact learning and development. Convergence insufficiency – when the eye muscles don’t turn in easily, causing reading difficulties and eye strain. We also perform eye tests for young babies or toddlers if parents are concerned about vision or eye problems. We stock a range of children’s glasses, including unbreakable children’s frames. Our expert optical staff can help you select and fit the right frames for your child. 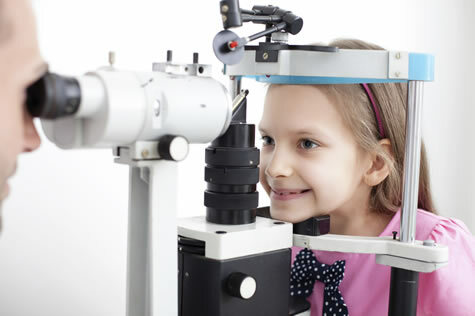 Book a children’s eye test at our Toowoomba optometry practice today. Call 07 4638 8828 or use the online booking form.